After a bit of planning, I finally have a trip put together for Columbus day weekend to Seattle. 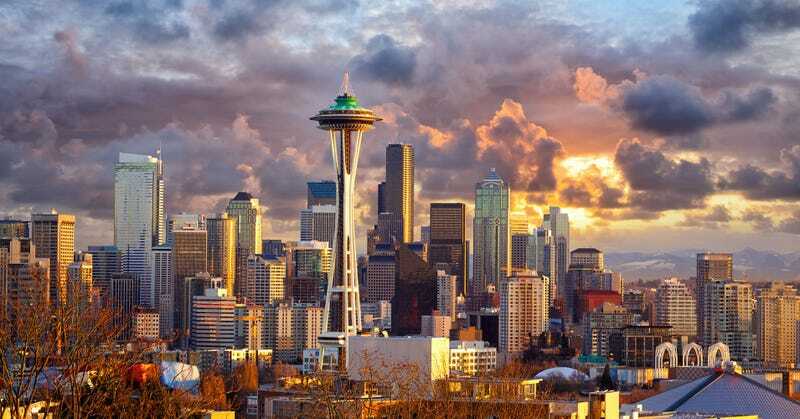 No idea what we are doing yet but we’ve just got a few normal things covered like the brunch/dinner plans, Space Needle, Pikes Place Market, and Mt Rainier but we don’t like to plan things out a whole lot anyways. Just kind of go with the flow and do things that seem like fun. We are arriving Friday around 1pm and head out Monday at 6am. Staying in an Airbnb in the Gatewood/West Seattle neighborhood and renting a “Dodge caravan or similar” from Enterprise since it was the cheapest car option somehow. Hoping to upgrade if something cool is available but cheap wheels will certainly work for this trip. We plan to spend most of Saturday going for a drive and hoping to see some cool roads that are easy to get to. Most importantly we are looking to see some leaves, enjoy a nice fall day, and take in the scenery. Ideally I’d like to get a good view of Mt Rainier but I’m open to whatever would be worth spending a day seeing. If the weather looks better Sunday instead we may switch it up so it’ll be fun either way. So I’ll definitely take drive suggestions or if any oppos want to do a drive, that would be fun! Still debating about renting the STi I found on Turo but spending a little less would be nice.